The death of Izu Joseph the Shooting stars defender is causing a whole lot of controversy as the Nigerian army says he was killed in a cultist's den while his family says he was mudered.The Nigerian Army in Rivers state says Shooting Stars defender,Joseph Izu was killed in a raid which took place in a cultist den in Okaki village, Ahoada West local government area of the state on Sunday October 16th. Addressing newsmen in Port Harcourt, Rivers state, the Commander, 2 Brigade Nigeria Army, Brig. 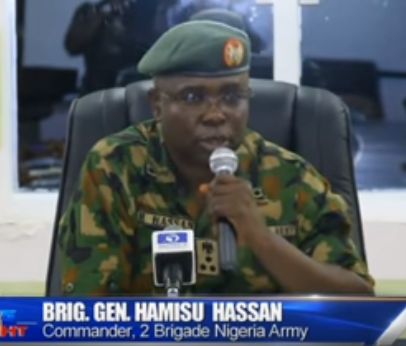 Gen. Hamisu Hassan, says it was after the raid at the cultist hideout that they discovered that the person who was killed during the raid was the footballer. in and raided the suspected criminal hideout. One person lost his life at the hideout while the others fled. Meanwhile Joseph's Father, Reuben Izu, has refuted claims that his son was killed in a cultist den.